Kareena Kapoor Khan is a fitness enthusiast and never fails to inspire us. The actress is well known for her disciplined gym sessions, perfectly toned body and her sincere dedication towards fitness. Practice makes a man perfect! The old phrase is simply perfect for the popular B-town celebrity Kareena Kapoor Khan. The stunning actress is a fitness enthusiast and never fails to inspire us. Kareena Kapoor Khan has always been the talk of the town mainly because of her disciplined gym sessions, perfectly toned body and her sincere dedication towards fitness. It goes without saying; that the key to her fitness is constant effort, hard work and most importantly enjoying her workouts. Pilates; a full-body workout is what the actress swears by. The actress has been spotted numerous times outside the celebrity trainer Namrata Purohit's Pilates studio. 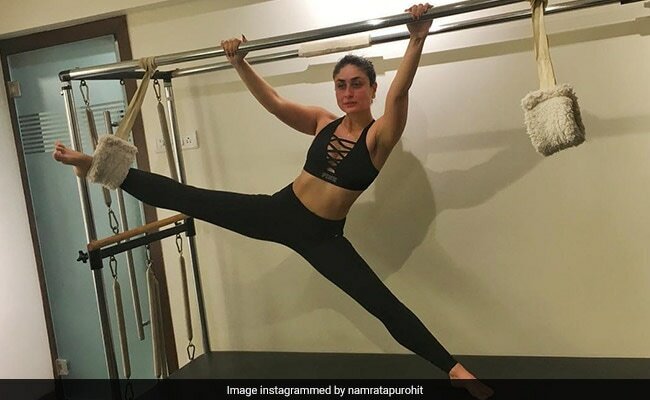 In the recent Instagram post shared by Namrata Purohit, Kareena Kapoor Khan was seen sweating it out in the gym. In the caption of the post, celebrity trainer Namrata Purohit said, " We've come a long way." The gorgeous actress never misses her gym sessions despite her busy schedules. This surely helps her achieve her fitness goals. Pilates is a form of exercise which is great for strengthening and toning your core muscles. Moreover, the exercise helps in increasing your flexibility and stamina. This workout helps you become strong and lean while improving the overall health of the body. Apart from these health benefits, it helps you shed those extra kilos, get flat abs, better posture and balanced muscularity. 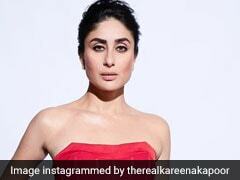 Also read: Kareena's A Pilates Girl, Even When She's Unwell. But Should You Workout When Not Well? No matter what exercise it is, you should do it on a regular basis. No matter how busy you are or what day of the week it is do not miss your workouts. The same goes with Pilates as well. Once you do this workout on a regular basis you will have more fun and master it gradually. The more you do, the more the movements it will enhance your strength, stamina and mobility. Breathing is extremely important when it comes to exercise. Always remember to inhale through your nose and exhale through your mouth when you do Pilates. Also, try engaging your abs while you breathe. You need oxygen to burn calories and good breathing will improve blood circulation and help detoxify your body. You should avoid taking frequent breaks when you are doing doing Pilates. You should limit the resting period between your exercises. This will help you to maximize momentum and make the most of this full-body exercise. Slower movement while doing Pilates requires great control and can be difficult. But going slow will enhance your muscle strength and give you better alignment and control over joint movement. Pilates workout is all about stabilizing one part of your body while moving the another. Try to hold the last rep on each exercise as long as you can. This will help you improve your stamina. Pilates exercise can be challenging for some. You can see the results in Pilates only when you do it consistently. You need to be patient and regular in your practice of Pilates in order to achieve your desired goals.